Stopping the run isn’t nearly as important as defending the pass in today’s NFL, but allowing opposing offenses to gash your defense for big plays is never a good situation. 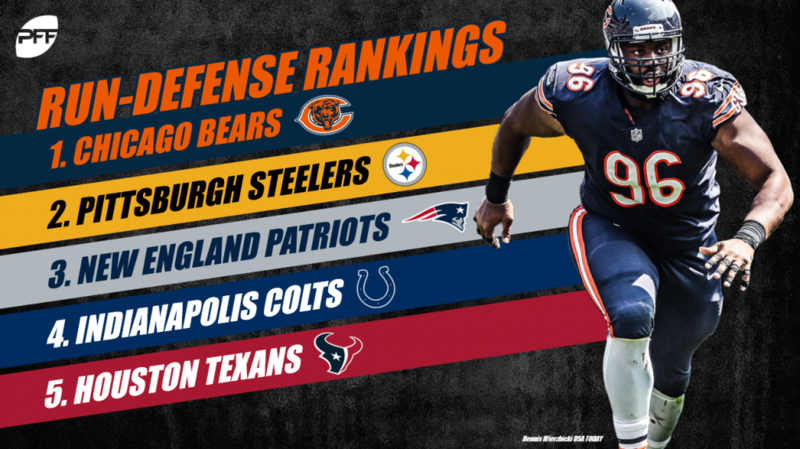 Here, we’ve pulled team run-defense grades from Premium Stats 2.0 to rank all 32 teams’ run-defense units after Week 6. 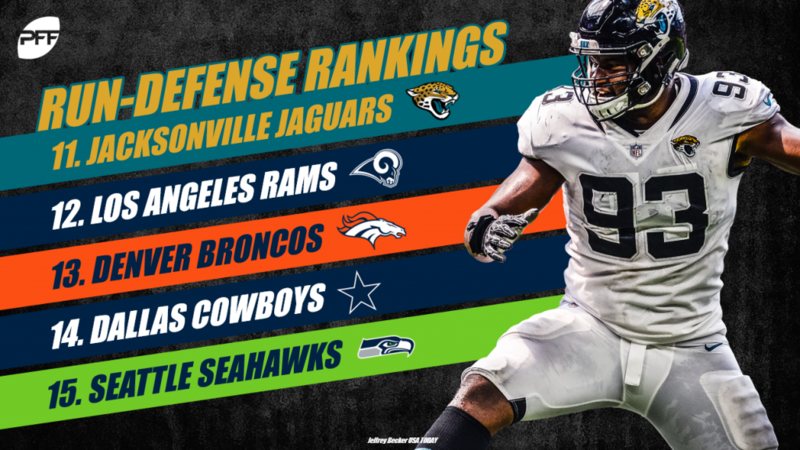 The following ranks purely run off of our team run-defense grades, which are updated weekly and made available to all ELITE subscribers. 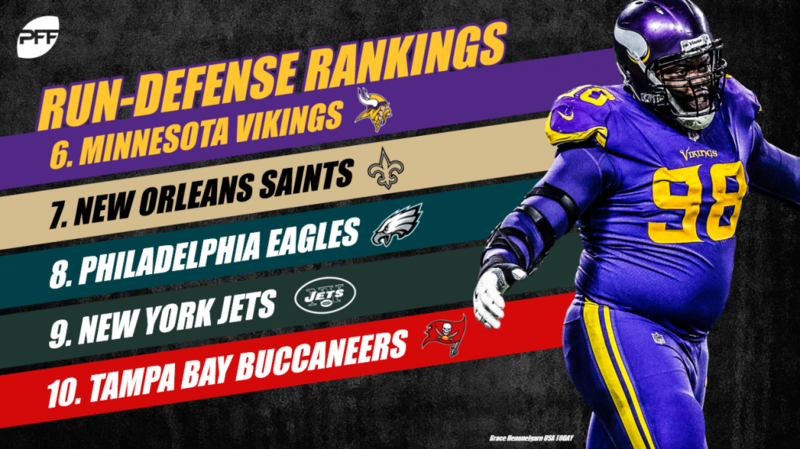 This is the second installment of a four-part series that will cover all 32 teams’ pass-rush, run-defense, coverage and total defense grades over the next two weeks.